If you are a novice photographer, forgive yourself if you do not take many great photos. With thousands of people at the walk, almost every picture is a moving giant group photo (with a mixed race family). I love diversity, but it is difficult to photograph, especially when everyone wears a different colored shirt. And in case you are wondering… no, we do not consult a color wheel. 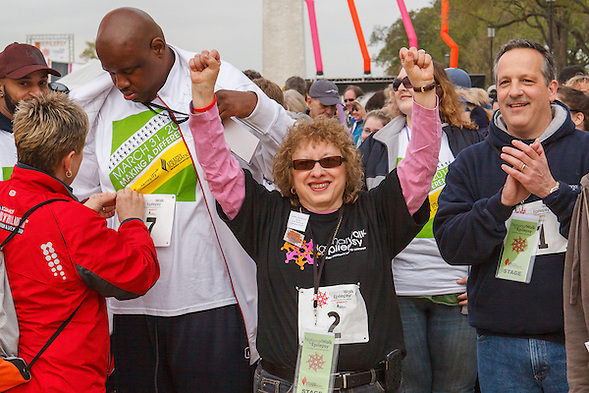 The Epilepsy Foundation of America provides an amazing location, but the location is also difficult for photographers. The Washington Monument photo bombs every picture. The building, which seems straight on television, somehow leans in several directions at once, and it is never the right scale. It looks poorly Photoshopped into the picture. The kite festival is the same weekend as the walk. This should make for easy pictures, but it just adds distracting elements. With all the strange shapes and colors, those of us with epilepsy start to feel a little normal. Next year, could we all just agree on purple and 18 percent grey? This entry was posted on Friday, April 6th, 2012 at 10:12 am. It is filed under Causes and Events, Travel and tagged with epilepsy, Social Media, Washington DC, Washington Mall. You can follow any responses to this entry through the RSS 2.0 feed. 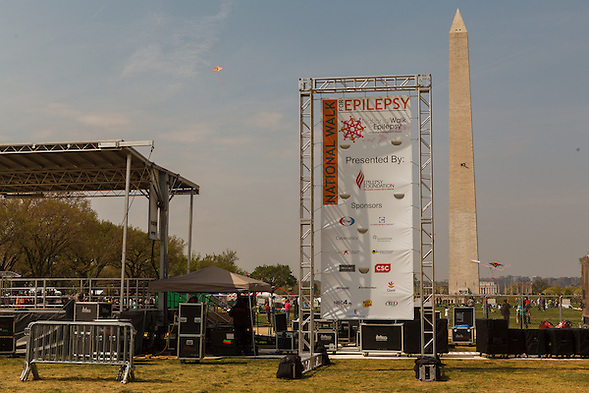 This blog post is from the 2012 National Walk for Epilepsy; the walk was one year ago today. 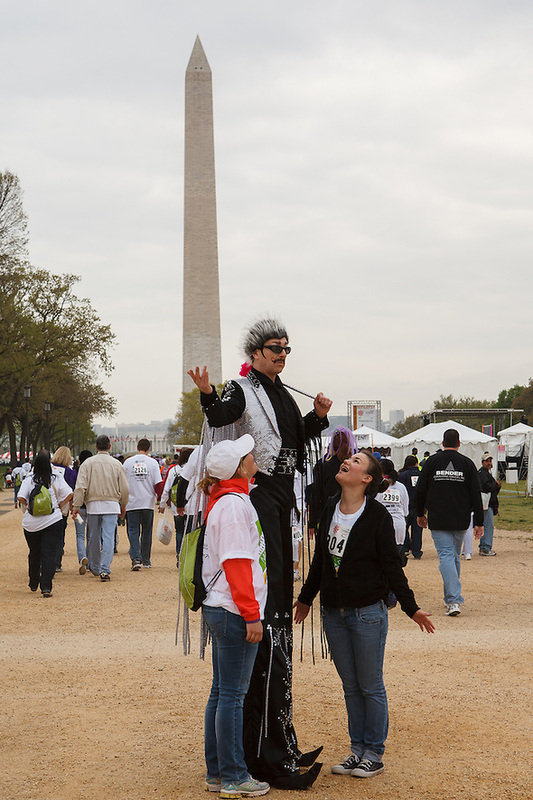 The 2013 National Walk for Epilepsy will occur on Saturday, April 20, 2013.